Former Black Stars & Asante Kotoko legend, Rev Osei Kofi has revealed the senior men’s senior soccer team, the Black stars may have qualified for three world cup tournaments following their specialty in bribe payment. The veteran footballer was reacting to comments made by Kotoko’s head coach Michael Osei on our current generation of players compared to the olden days where Kotoko had 100% chance of winning every game. ‘’If the quality is okay why haven’t we won the AFCON in 35 years? He asked. ‘’Because even the world cup we paid bribes. The commission of enquiry made me aware’’. The outspoken ex- footballer further disclosed that in 2006 when the Nation qualified for its maiden world cup in Germany, he witnessed whatever went on at the ministry of sports. ‘’During former President Kuffour’s reign in 2006 ,our first time to the world cup, I was then with the ministry and witnessed everything but we just don’t want to expose Ghana’’. He continued ‘’I would have said a lot but I don’t entirely agree with Michael as he himself chose to be a coach’. 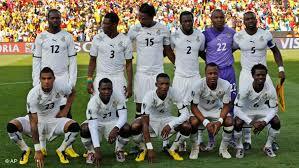 We could recall that weeks ago, Graphic reported that the Ghana Football Association paid bribe before the Black Stars 6-1 drubbing over the Pharaohs of Egypt to qualify for the nation’s third successive Mundial in Brazil but the federation in a news release debunked the said publication.